WASHINGTON — A key Senate Democrat is holding back support for the sale of tens of thousands of precision-guided munition kits to Saudi Arabia, until the Trump administration justifies U.S. military aid to Riyadh’s campaign in Yemen. The three-year conflict’s bloody toll on civilians has sparked an ever-louder outcry from lawmakers over the U.S. refueling support and intelligence to the Saudi-led coalition, which is attempting to restore the former Yemeni government through airstrikes. The Senate Foreign Relations Committee’s top Democrat, Sen. Robert Menendez, announced in a letter to Defense Secretary Jim Mattis and Secretary of State Mike Pompeo last week that the administration must provide more public testimony and private briefings to lawmakers before he can be satisfied. 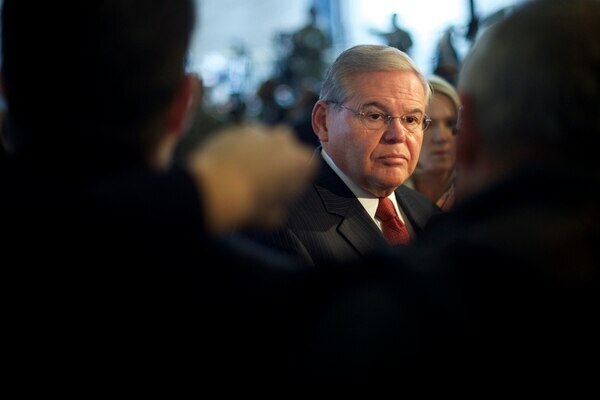 “I am not confident that these weapons sales will be utilized strategically as effective leverage to push back on Iran’s actions in Yemen, assist our partners in their own self-defense, or drive the parties toward a political settlement that saves lives and mitigates human suffering,” Menendez said in his June 28 letter. “Even worse, I am concerned that our policies are enabling the perpetuation of a conflict that has resulted in the world’s worst humanitarian crisis,” he said. The Trump administration, which has pushed to increase exports of American-made weaponry to create domestic jobs, has asked Congress to review the sale of more than 120,000 precision-guided munitions to Saudi Arabia and the United Arab Emirates, Reuters reported. According to Menendez, the administration weeks ago briefed the sale to Congress, which has the power to review and disapprove of U.S. arms sales; key members may object or delay them. How effective a strategy it is remains to be seen. Senate Foreign Relations Committee Chairman Bob Corker, R-Tenn., lifted his eight-month hold on some U.S. arms sales to Gulf Cooperation Council member states to pressure a resolution on Qatar, which never came. He declined to comment on Menendez’s announced hold, but said his became “nonproductive” over time. One Iran hawk on the panel, Sen. Lindsey Graham, R-S.C., was generally supportive of Menendez’s approach, alluding to Menendez’s opposition to President Barack Obama on the Iran nuclear deal. Blocking arms sales, for the legislative branch, “may be one of the things we have as a tool around here,” Graham said. 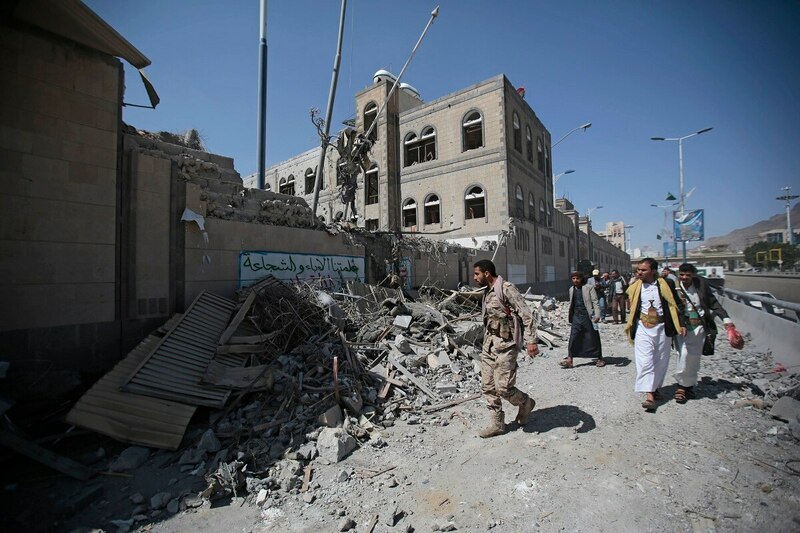 In March, the Senate scuttled a bipartisan resolution aimed at ending U.S. support for Saudi intervention in Yemen’s civil war, after Mattis, Corker, Menendez and Senate Majority Leader Mitch McConnell, R-Ky., objected. U.S. troops officially serve in a noncombat role in the conflict, providing the coalition military advice, logistics and other support to forces fighting the Houthis, seen as an Iranian proxy. A bipartisan group of Senate Foreign Relations Committee lawmakers in June, reaffirmed the Houthis have acquired sophisticated land and anti-ship missiles, and they welcomed the Treasury Department’s sanctions on Iranian entities providing illicit material to the Houthis. Still, they pressed the administration to support the United Nations’ efforts toward military deescalation and a diplomatic solution, amid the growing humanitarian crisis. Over the weekend, the United Arab Emirates temporarily halted its fight for the Yemeni port city of Hudaydah, a crucial avenue for humanitarian aid. The death toll from the war is at more than 10,000, amid a cholera epidemic and widespread risk of starvation, according to the U.N.
Administration officials have in recent months testified that America’s emphasis to the coalition on the Law of Armed Conflict and an obligation to avoid harming civilians has yielded progress, but the U.N. has concluded that any precautions coalition airstrikes may have taken have been ineffective. A U.N. report last week found that the Saudi-led coalition was responsible for more than half of the conflict’s child deaths and injuries. “It is no longer acceptable for the administration to rely on civilian protection arguments as justification for continued sales of precision-guided weapons unless it provides credible evidence to support this contention” of progress toward reduced civilian casualties, Menendez said. The Obama and Trump administrations have argued that U.S. weapons sales, if not military support, to Riyadh provides an avenue to press for a political settlement in the war. But Menendez wrote: “I am increasingly pessimistic that the administration has effectively deployed any leverage” to move in that direction. His skepticism that the administration has effectively launched a whole-of-government strategy to counter Iran came days ahead of a State Department briefing Monday on its progress. The administration plans to reimpose sanctions on Iran following President Donald Trump’s decision to withdraw from the Iran nuclear deal two months ago. State Department Director of Policy Planning Brian Hook told reporters that officials from the Treasury and State departments have been presenting the plans to government officials around the globe, including in Europe and Asia. The meetings come amid strained ties over trade and defense burden-sharing with Germany, France and the United Kingdom, who had unsuccessfully urged Trump to stay in the Iran deal.